I read this article and found it very interesting, thought it might be something for you. The article is called Ep 52 – How to develop a voice that cannot be ignored with Jody Raynsford and is located at https://copychief.com/ep-52-jody-raynsford/. 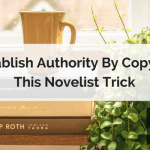 Would you be shocked to know that striving to “develop your authentic voice” is actually killing your connection with your audience? So… how exactly do you nail the voice that gets you more sales? 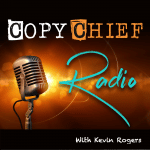 Today, former journalist turned pro copywriter Jody Raynsford, joins me on the show. 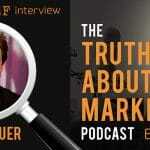 He helps clients get more sales by empowering them with a voice that customers cannot ignore. … and you’ve got to dig deep into the granular levels of language to scoop out what distinguishes you. Jody reveals the three biggest mistakes most marketers make when developing their voice. (You’ll want to hear his insights on the difference between real and manufactured authenticity before you run your next campaign… the difference is so subtle, you can easily lose your prospects without even knowing it). Take a listen and find out how you can develop a voice your prospect will never forget. Plus… If you’re a freelancer, find out how you can stand out and land high paying gigs just by focusing on one critical thing. Great “authenticity” rant there Jody. Strength of voice beats authenticity of voice. Love it.